Are you a hobbyist with some spare time? 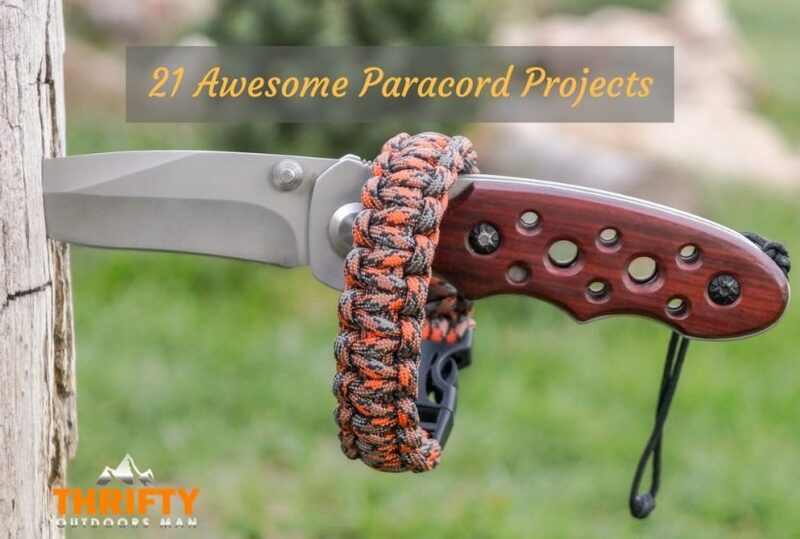 If so, why not try a few different paracord projects? You can use this durable and flexible rope for stuff ranging from belts to keychains, and from lanyards to survival kits. We’re here to share some of the most awesome projects. 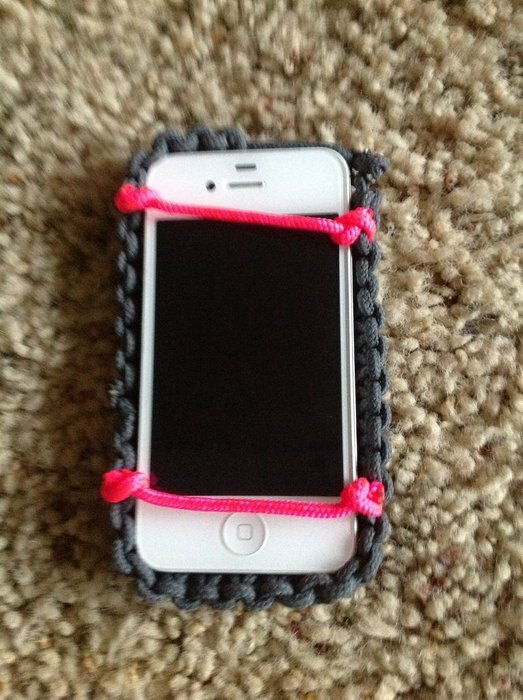 This is probably one of the most surprising uses of paracord. It’s a good one you can do with your kids on a rainy day or summer afternoon. The biggest option when making these Minions is whether you want to use a snake knot or a crown knot for a more oval design. The crown knot is popular for paracord items like keychains. You’ll have to make the sinnet in yellow then add blue for the body. 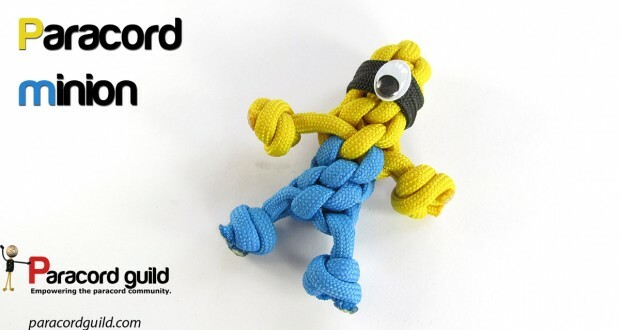 To complete this project, you’ll need paracord 550 (yellow/blue /black), scissors/knife, lighter, glue, and googly eyes. This project is a little challenging but can be a ton of fun for your little ones. This is one of the most basic yet practical paracord projects. One option is a paracord bracelet, but they only provide 8-12 feet of rope. Meanwhile, a paracord belt can provide 50+ feet of rope. Keep in mind you won’t have to cut the paracord rope. The looping process eliminates the need to measure the rope’s length. With the holiday season just around the corner, this is a practical way to make an eye-catching Christmas tree decoration. This project not only can be used as a Xmas tree ornament but also as stand-alone décor. This décor uses paracord to make a tiny Christmas tree. You need two colors of cord along with a couple of colorful beads and star. If you don’t want to spend $11 million on a Christmas tree, then this is an affordable way to spruce up your basic $80 evergreen. The only tools you’ll need are scissors, lighter, and know-how for making a cobra knot. This is a great way to carry your water bottle with you whether it’s for biking, hiking, and other outdoor activities. This paracord project is a good option if you’re always losing the bottle’s lid. A big benefit of the bottle net is you’ll have many attachment options. There’s more! You’ll also have some protection from rubbing as well. So the water bottle will be more secure and safe. You’ll need a cutting tool, lighter, paracord, and knot book (optional). One of the main options you’ll have when making this net is the knot you’ll use at the bottom. Make sure to select one that keeps your canteen/bottle as stable as possible. This bracelet is an alternative for survival situations. Would a first aid kit be stored better in a backpack? That might seem like the most logical option. The problem is in an emergency situation you might not have enough time to forage through your backpack to dig out the First Aid kit. That’s why a paracord survival bracelet is a practical option. It has all the basics you need to stay alive in tough situations. The kit is literally within arm’s reach so you can get to it quickly and treat yourself before you get back to basecamp. This is a great way to keep your smartphone secure and protected. You can use 550 paracords to create the look and feel you want. There are many ways to do that like adding your favorite colors to customize your iPhone case. How can you keep man’s best friend happy? One of the best ways is with dog toys including paracord dog toys. This is a great option for dogs of any size. You can scale the cord’s diameter up or down based on whether you have a small breed (1/4-inch) or large breed (3/8-inch). One of the top features of this option is you can make a basic rope toy or make one of the many variations available. Make sure to start with a basic dog toy then try some variations as you get in some practice. Another option is paracord leash/collar combos for dogs. If you wear eyeglasses or sunglasses, then you know how important it is to keep them handy at all times. This is a great way to keep your spectacles or shades in place. Another plus is the rope is durable and waterproof. These are both features you’ll want in an indoor/outdoor lanyard. The lanyard also gives the option for the glasses to dangle on your chest when you’re not using them. They’ll always be within arm’s reach so you can use the glasses when you need them. The materials you’ll need include paracord (1 yard), eyeglasses/sunglasses, knife/scissors, and lighter. You can also use a wooden bead/plastic cord lock to add some extra functionality to the lanyard. Here’s how to make a paracord eyeglass lanyard. You can save money by making a DIY pet harness for Fido or Fluffy. Besides being a cheaper option, it’s also quite durable. A standard commercial harness will tend to wear down within a few years, so you’ll have to keep replacing it. On the other hand, a paracord pet harness can last for several years, and you might never have to replace it! As a word of caution, the harness should generally be used for dogs. Most cats don’t cooperate when it comes to harnesses or being walked. However, it’s still a good option for canines when you take them for a walk in the park or around the block. Meanwhile, you can even use a mini grenade to “store” paracord. The process of making a mini paracord grenade requires a 3-layer cobra knot. You can also turn it into a keychain. The items provide double-duty since you’ll not only have your keys with you but also a supply of paracord whenever you need it. When completing this project, you’ll need about 9 feet of paracord, and keyring. In terms of tools, you’ll need scissors and lighter/matches. Here’s a tutorial for making a paracord survival grenade. Besides a dog harness, you can also use parachute cords to make a dog collar. This involves a King Cobra weave that’s ultra-strong. This adds to the thickness/padding of the original cobra weave. This will benefit canines of all sizes since they’ll have a more comfy collar to wear. This project requires around 40 feet of 550 paracords. Not only will this make a durable dog collar but also one that’s stylish. The length of the dog collar itself will vary based on whether you’re making a collar for a large breed (20-inch), small breed (1.5 feet of paracord/1-inch dog collar). 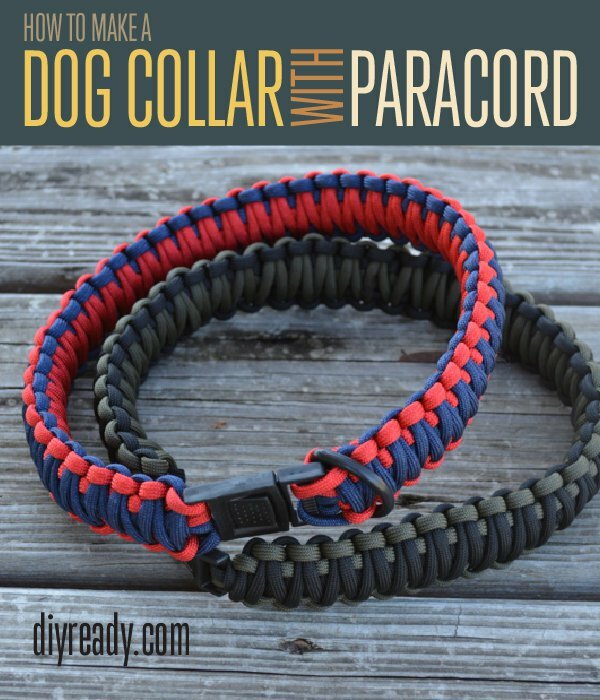 These step-by-step instructions can turn paracord into a durable/waterproof dog collar. These coasters have a nautical theme, so they’re great if you want to feel like you’re at the beach or out at sea—even when you’re not. The coasters are eye-catching, durable, and washable. This makes them functional for a glass of soda or cup of coffee. You could purchase these coasters online. However, you can make a special experience by turning them into a DIY project. You’ve heard of bullets and bracelets but what’s a bullet bracelet? It might be surprising but a bracelet made out of parachute cord can be a life-saver when camping/hunting. You can find several of these bracelets at physical/online stores. They’re available in various styles, colors, and sizes. That said, making your paracord bullet bracelet allows you to add customization to the item. This will enable you to add your own signature style. You might want to make an ornamental bracelet. In both cases, you can enjoy a durable and water-proof paracord bracelet. While paracord can’t replace backpacks, it can actually make them better. 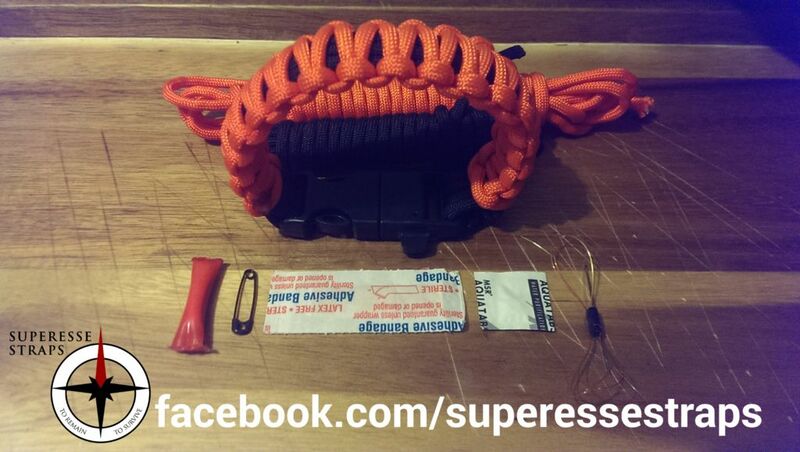 This is a great way to tighten up your gear’s loose ends by using paracord of different lengths. You can use as much parachute cord as you need whether it’s 1.5 or 15 meters. It depends on how many straps you wish to cover and the thickness you want. One of the main benefits of paracord is it can provide lots of flexibility. You can definitely enjoy that feature with backpack strap wraps. As always it’s important to collect all the tools/materials you need before starting this project. Why make a mini monkey fist when you can make a giant one? The monkey fist is named as such because it looks like a small fist/paw. The knot can be used as an ornament and weapon. It’s known by sailors as a “slungshot.” In the past, the monkey fist was also used as an anchor for rock climbing. You can use a monkey fist in various survival situations and might even save your life. Some of the benefits are it’s easy to conceal and produces enough power for slowing down an attacker. There’s no question this is one of the most interesting paracord projects. Not only does it involve using paracord to make a double monkey fist but also helps you hold your place while reading. Like the name suggests, it’s a little challenging to make a double monkey fist. However, it’s not the toughest paracord project, so it’s a matter of learning the knot and following the instructions to a tee. This project requires about 5 feet of paracord. That includes around (23x2) or the double monkey fist and some extra rope in the middle of the book. You’ll also need scissors, lighter/matches, and 2 marbles. Parachute cords can be used for various types of horse equipment. One common option is horse reins. Another option is a paracord noseband. You can use paracord to make the whole bridle. It’s safe to say a leather bridle is fancy. However, a paracord bridle is practical due to their being sturdy and weather-proof. This explains why the rope is becoming a popular option and you can find several options on the web. If you want to save money, you can make the noseband a DIY project. Like other projects, it’s easy if you follow the step-by-step instructions to a tee. 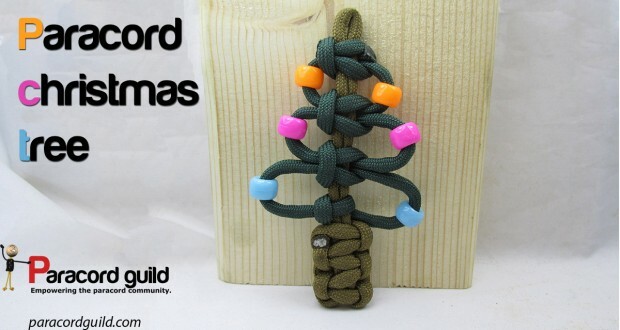 This project complements the paracord mini Christmas tree. You’ll need paracords of two different colors: red and green, of course. The process is quite similar to making a paracord bracelet. The Christmas wreath has many similarities compared to the Christmas tree. They include the mini size and colored beads. You’ll need to learn how to make a Solomon’s/Cobra knot when crafting a paracord Christmas wreath. It’s advisable to practice making this paracord knot. Whether you own a Mac or Android laptop, it’s important to protect your investment. 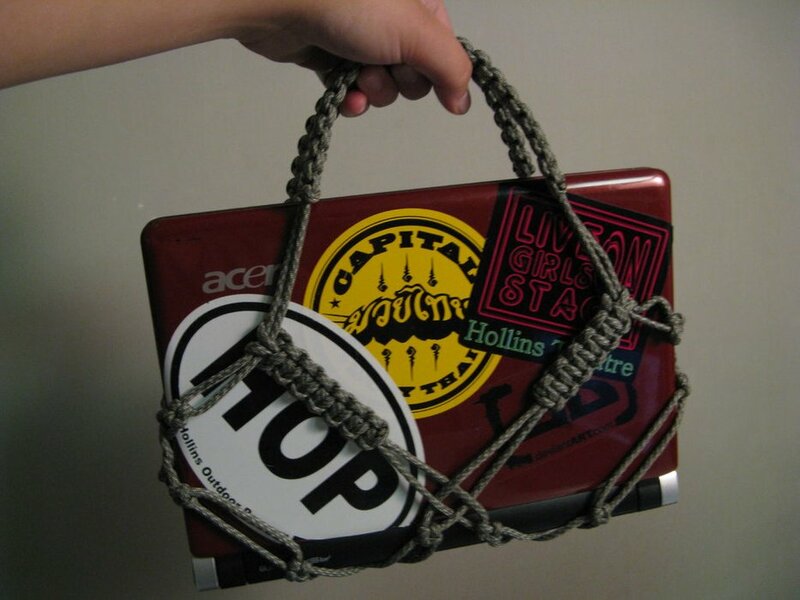 One of the best ways to do that is with a paracord laptop harness. The first main step is to make multiple prototypes until you can secure the computer effectively. One of the main benefits of this paracord project is it involves making a laptop harness/carrier without weaving. It might be surprising, but you don’t need a ton of materials for this project. You’ll require around 44 feet of paracord but more for larger laptops. How about tools? You’ll just need scissors and a lighter, and make sure your cross knots are up to par. This is a simple project that only requires the rope and palette boards. Many projects with paracords are for survival, but the rope can also provide comfort. The two materials needed make the project a piece-of-cake. What’s so special about DIY chair instructables with paracords? One of the main benefits of these chairs is they conform to the sitter’s body. When selecting a chair some of the main features to look for are durability and comfort. Paracord is sturdy, waterproof, and body-conforming. This offers more flexibility since you can install it indoors or outdoors and won’t have to worry about the elements contacting it. Do you want a more comfy handle for your knife or mini ax? If so then you can make one using paracord. This provides several benefits starting with a better grip. Another plus is you’ll have paracord on hand for various survival scenarios. Another benefit of the paracord knife grip is it’s quite easy to make. In fact, the process can be completed in minutes! This makes the option more practical than purchasing a commercial knife handle.